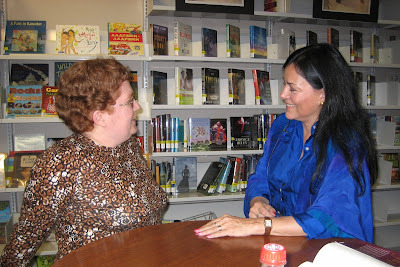 Diana Gabaldon's story collection, SEVEN STONES TO STAND OR FALL, now has an official publication date of June 27, 2017. SEVEN STONES TO STAND OR FALL will be a collection of seven novellas. Some of these stories have been previously published in anthologies or as standalone e-books, but two of the stories are brand new. For more details about all of these stories, see Diana's announcement here. SEVEN STONES TO STAND OR FALL will be available in hardcover and e-book format. You can pre-order from Amazon or Barnes & Noble. I wanted a title that at least suggested that there were a number of elements in this book (hence the "Seven") and "Seven Stones" just came naturally, and was nice, ("stone" is always a weighty word <g>) but not a complete poetic thought (or rhythm). [The] "stand or fall" has to do with people's response to grief and adversity: to wit, if you aren't killed outright by whatever happened, you have a choice in how the rest of your life is lived--you keep standing, though battered and worn by time and elements, still a buttress and a signpost....or you fall and return quietly to the earth from which you sprang, your elements giving succor to those who come after you. 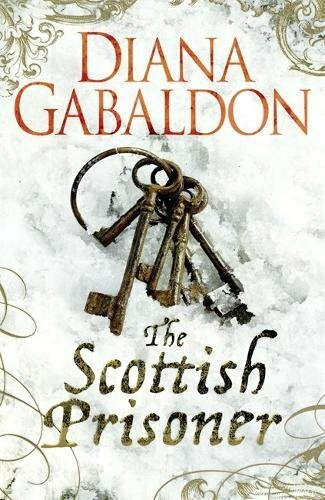 I'm looking forward to adding this book to my collection in June! The 2nd Annual Droughtlander Photo Contest is officially over, and I'm delighted with the way it turned out! I received a total of 266 photos from OUTLANDER fans in 30 different countries, all over the world, as far away as Australia and the Philippines. 17) Cristina W. (Netherlands): "This is my favourite place to read Outlander on a (partly) cloudy autumn afternoon. The photo has been taken in Alphen aan den Rijn, my hometown in the Netherlands. Since we have a lot of water in the Netherlands, I enjoy reading in a beautiful silent place with only boats passing by." 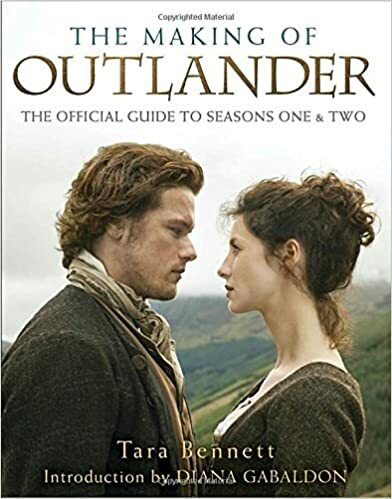 71) Jessica R. (US): "I am an avid reader and truly love the Outlander series. I have traveled to LA quite a few times to see the costumes and other events. However, some of my favorite moments while visiting was being able to get close to the huge billboards for Season 2. I always travel with the book I am currently re-reading. So I felt that this spot was the perfect place to have a quick read, most likely the closest I will ever get to the stars of the show. It was a perfect moment captured, one I won't ever forget!" 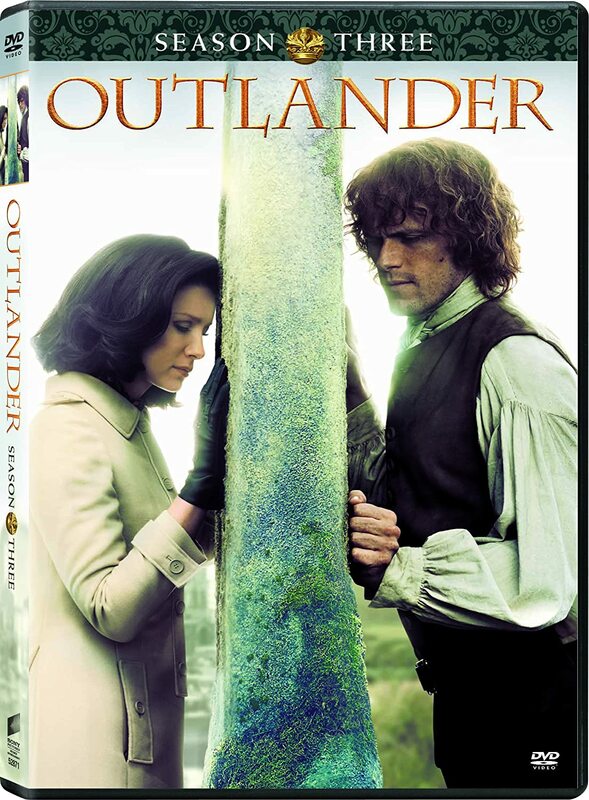 158) Daniela M. (Germany): "I am from Germany and started the Outlander books this march 2016. Meanwhile I have read the first 7 books of the main series. The currently last one (MOBY) will be my christmas present, so I have to wait until then to continue, which is really hard, but probably not so hard, than waiting for book 9. Nevertheless there are still the stories of Lord John to read, which you can also see in the picture. So in the picture are all my (german) copies of the books so far, in the middle in my bookcase and around again with their beautiful covers." Congratulations to all three of you! 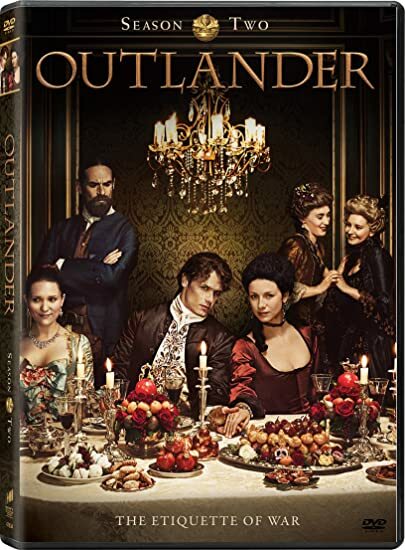 Please contact me at contest@outlandishobservations.com as soon as possible so I can arrange to have your prizes mailed to you. The link to the slideshow with all the contest photos is here. Be sure to take the time to read the captions! There are a lot of wonderful stories behind the photos in this collection, and reading the captions adds immeasurably to the experience! If you can't see the captions on your mobile device, or if they only display part of the text, try it on a desktop computer. From the slideshow, click on the little "info" symbol at the top of the page (it looks like an i inside a circle) to open up a side panel on the right that will display the entire text of the photo caption. 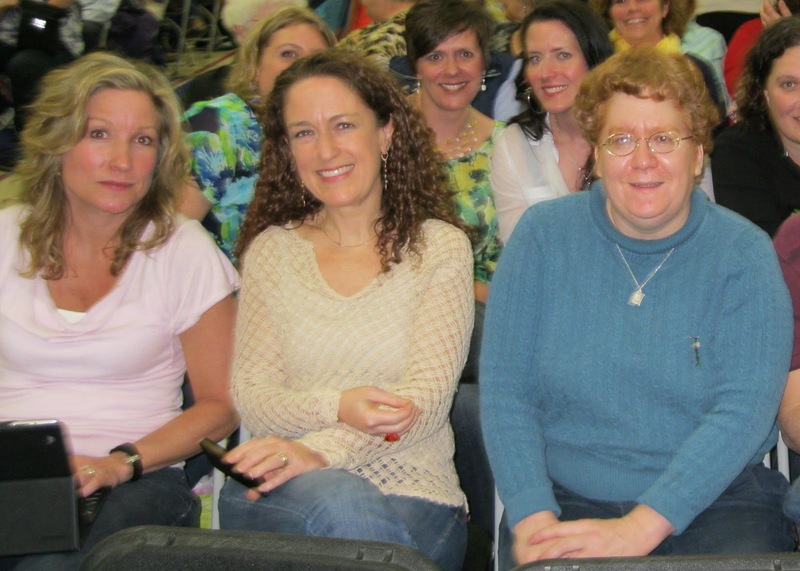 MANY thanks to all of you who shared your photos and your love of All Things OUTLANDER! I hope you enjoy this collection as much as I have. 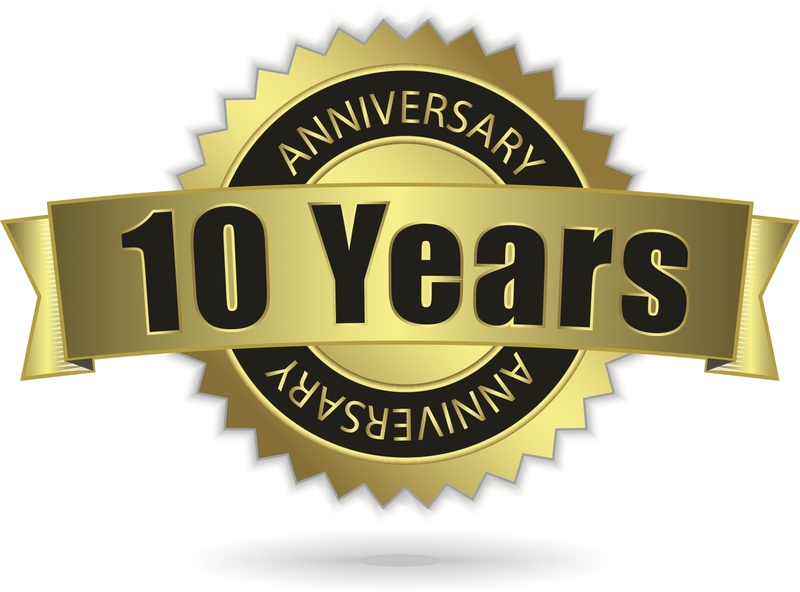 Next week is my 10-year OUTLANDER anniversary. Finding these books has changed my life in so many ways! 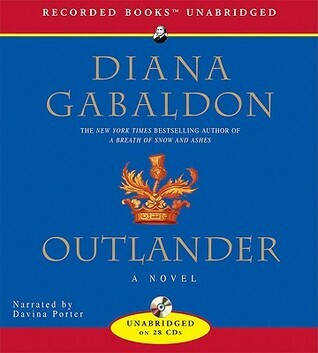 This contest is my way of spreading that OUTLANDER love around. 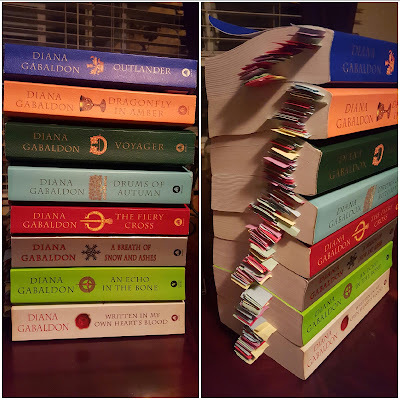 It's also a reminder that no matter how much things change in the years to come, the OUTLANDER fan community will always have one thing in common: our love for these books and characters, and this amazing story that Diana Gabaldon has created, that is now being brought to life on TV. 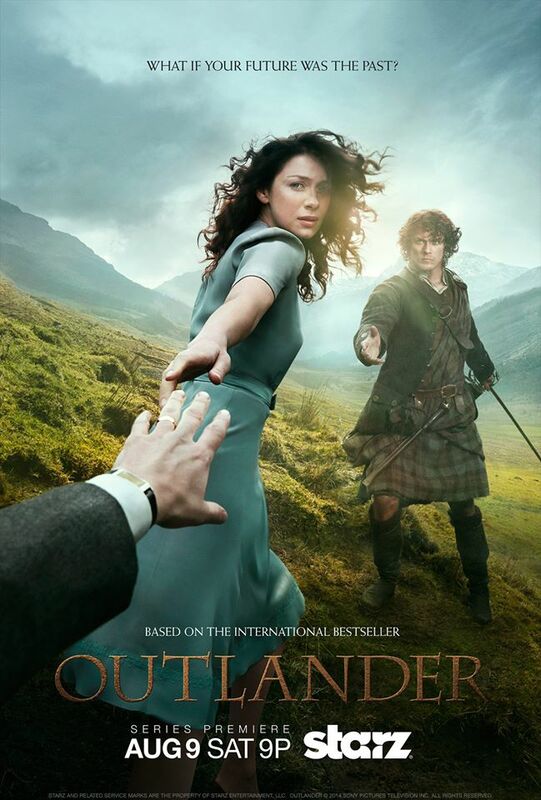 Only three more days to send in photos for the 2nd Annual Droughtlander Photo Contest! The deadline for entries is midnight Eastern Time on Friday, November 18. I've received 75 entries so far, from eight different countries, and I'm hoping for many more before the contest ends on Friday. It's been fun to see what everyone comes up with. I can't wait to share the photos with all of you! You can see the contest announcement here. 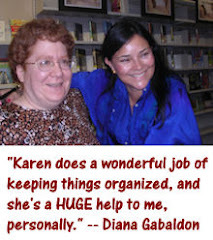 All you have to do to enter is email a photo containing one or more of Diana Gabaldon's books (in any format, including e-books or audiobooks) to contest@outlandishobservations.com, along with your name and a brief caption or description of the photo. 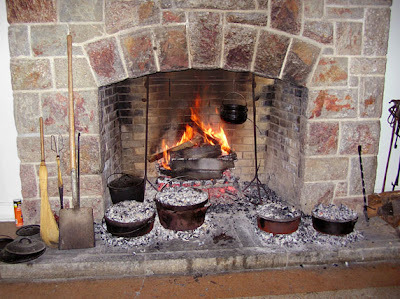 Please come back on Saturday to see the contest results, along with a slideshow of all of the photos! 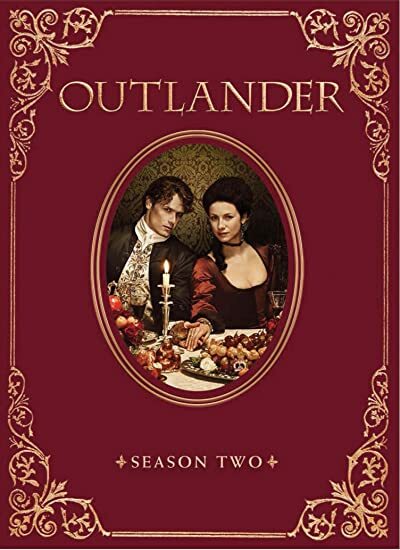 Here's a very interesting video interview with Diana Gabaldon and Tara Bennett, author of THE MAKING OF OUTLANDER: The Official Guide to Seasons One & Two. This interview was recorded on November 10, 2016, and it's about 45 minutes long. If you like the behind-the-scenes details about the filming of the OUTLANDER TV series, I think you'll enjoy this video very much. Diana talks in detail about what it was like to be on set during the filming of Episode 211 ("Vengeance is Mine"), which is the script she wrote for Season 2. 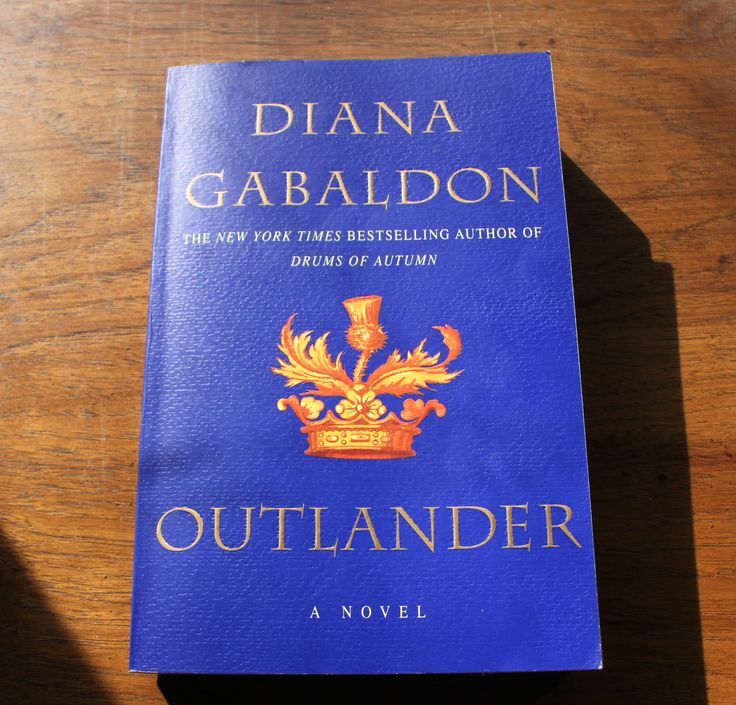 The MAKING OF OUTLANDER book is very well done, and definitely worth a look! I haven't yet had time to read through the whole thing, but I'm enjoying it very much. For more information, look here. If you're thinking about entering the 2nd Annual Droughtlander Photo Contest, time is running out! 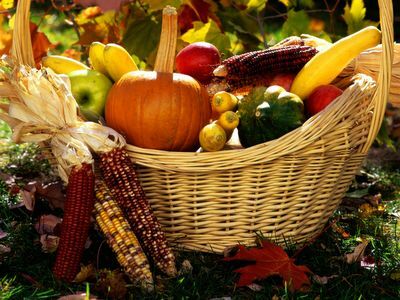 The deadline to send in photos is midnight Eastern Time on Friday, November 18. I've received 59 entries so far, from eight different countries, and I'm hoping for many more in this final week. Can't wait to share the photos with all of you! 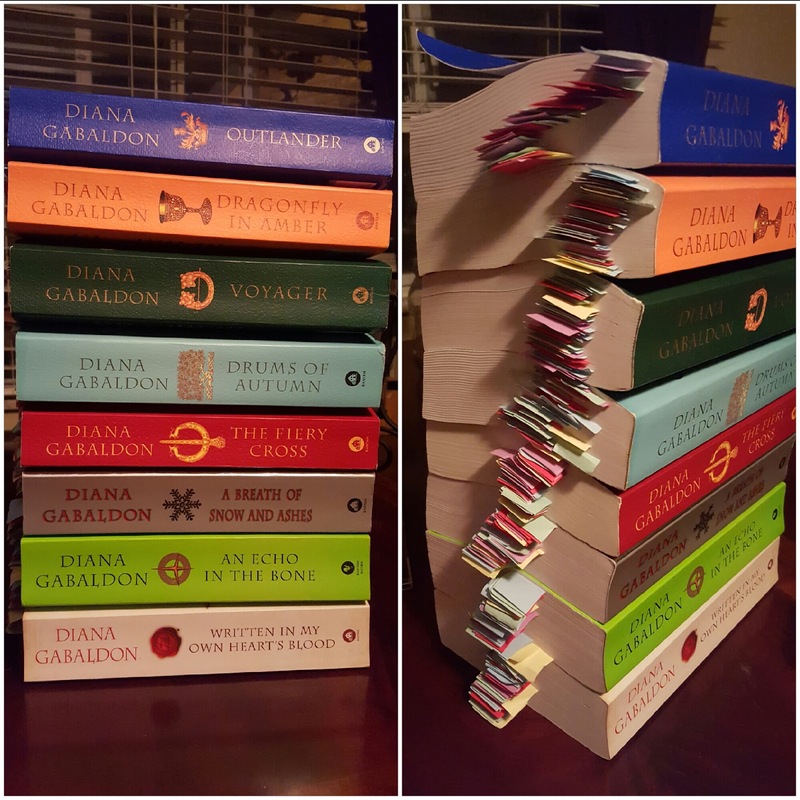 Here's the latest OUTLANDER Season 3 casting news: Meet the Dunsany sisters! 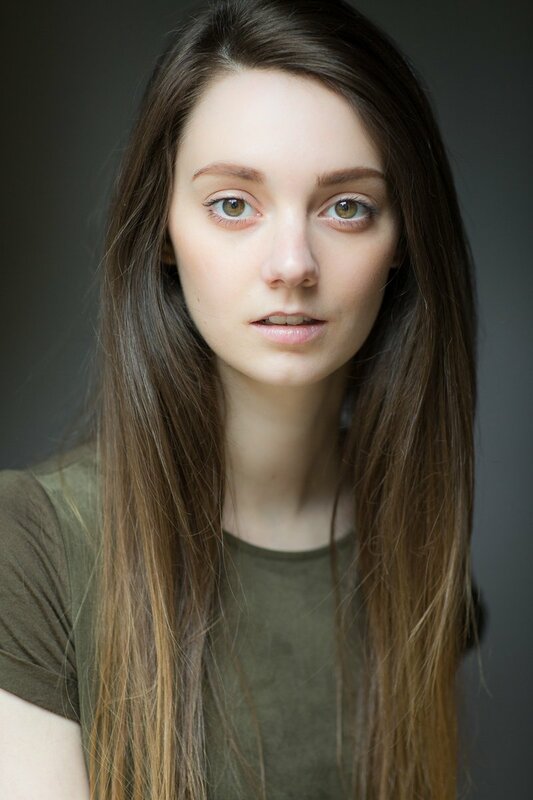 Geneva Dunsany will be played by Hannah James. You can follow her on Twitter here. Isobel Dunsany will be played by Tanya Reynolds. You can follow her on Twitter here. For more information, see the official press release. I'm looking forward to seeing both of them on screen! 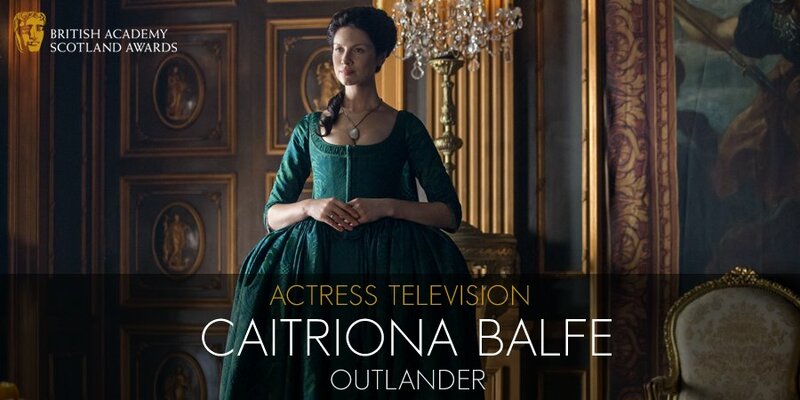 Congratulations to Caitriona Balfe on winning the BAFTA Scotland Award in the category "Actress Television"! It's definitely well-deserved! Here's a video of Cait's acceptance speech, posted by OUTLANDER Russia (hence the Russian subtitles). I think it's neat that her award was presented by fellow OUTLANDER cast member Bill Paterson, who played Ned Gowan in Season 1. 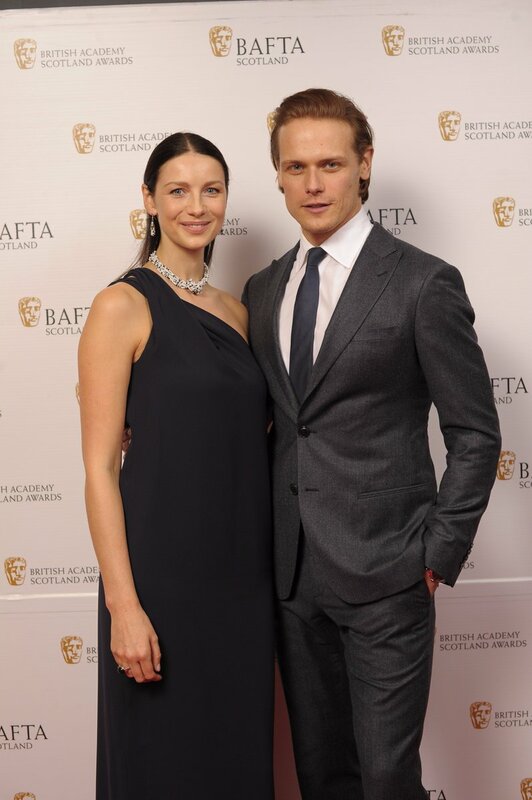 Here's Sam and Cait on the red carpet. Sam was also nominated, but unfortunately he didn't win. Better luck next year! Thanks so much to everyone who's sent in entries so far for the 2nd Annual Droughtlander Photo Contest! I've received 45 entries so far, from six different countries, and it's going to be a terrific collection! I'm hoping for many more entries in the coming days. You can see the contest announcement here. The deadline to send in photos is Friday, November 18. Just for fun, here are two of my favorite photos from last year's contest. 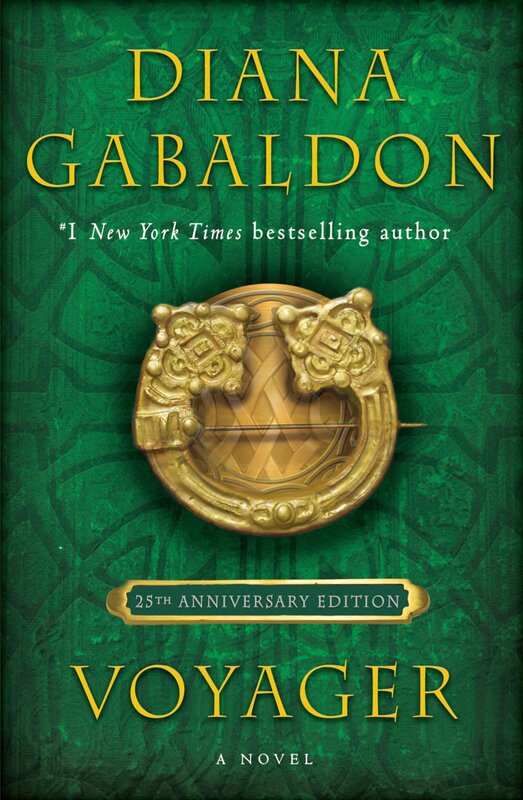 I thought it might be fun to take a look at politics as seen in Diana Gabaldon's books. Whatever your own political leanings, I hope you'll find these quotes entertaining. Reading through them, you get the impression that some things never change! 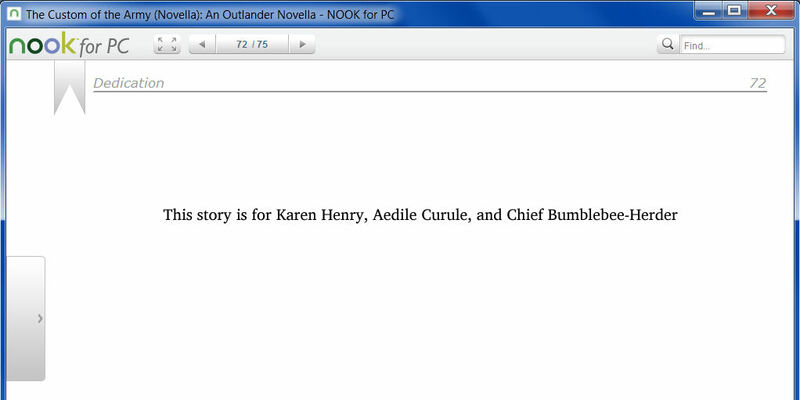 If you haven't read all of the OUTLANDER books, there are SPOILERS below! Read at your own risk. Just in time, Grey recalled his mother mentioning that Edgar himself had stood for Parliament in the last by-election, and refrained from saying that personally, he would prefer to be shot outright than to have anything to do with politics. 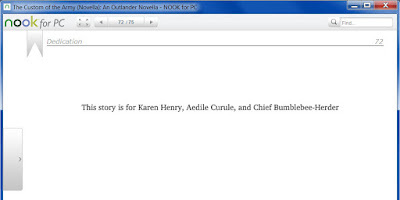 2) The broadsheets Claire encounters during the Rising seem oddly familiar. The technology might be different these days, but the sentiments expressed haven't changed a bit in 250 years. I turned to the next page, and nearly dropped the whole sheaf. “Yes,” I said faintly, perusing the broadsheet’s charges. "It’s the last one I thought you’d be interested in.” Balmerino interrupted my thoughts, flipping over the next-to-last sheet. “The Stuart witch” proclaimed the heading. A long-nosed female with pinpoint pupils stared back at me, over a text which accused Charles Stuart of invoking “ye Pow’rs of Darkeness” in support of his unlawful cause. By retaining among his intimate entourage a well-known witch--one holding power of life and death over men, as well as the more usual power of blighting crops, drying up cattle, and causing blindness--Charles gave evidence of the fact that he had sold his own soul to the devil, and thus would “Frye in Hell Forever!” as the tract gleefully concluded. "Very entertaining,” I said. I gave the sheaf back to his lordship, restraining the urge to wipe my hand on my skirt. “Er ... what is the current rate of taxation, do you think?” I asked, tactfully drawing attention away from Stanhope’s spluttering. Wylie pursed his lips, considering. A dandy, he wore the latest in modish wigs, and a small patch in the shape of a star beside his mouth. Under the powder, though, I thought I detected both a good-looking face and a very shrewd brain. With vivid memories of the last IRS form I had signed, I agreed sympathetically that a two percent tax rate was a positive outrage, wondering to myself just what had become of the fiery spirit of American taxpayers over the intervening two hundred years. 4) I love the irony of Lord John, that most Loyalist of men, being caught up in a crowd in Philadelphia celebrating the first anniversary of American independence. A racket in the street outside put a momentary stop to the festivities. 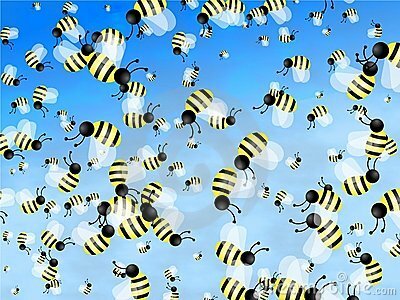 There was considerable shouting and the thump of projectiles striking the front of the building. One of these--which proved to be a large, muddy rock--struck and shattered a pane of the establishment’s window, allowing the bellows of “Traitors! Renegados!” to be heard more clearly. "Geld the Royal Brute!” shouted Grey’s earlier acquaintance in reply, and half the tavern rushed out into the street, some pausing to break legs from stools to assist in the political discussion which then ensued. It was her turn then to be silent and think. At last she put her hand on his arm--solid, warm, steady as iron. "Almost nothing would be worth losing you,” she whispered. “But maybe that comes close." 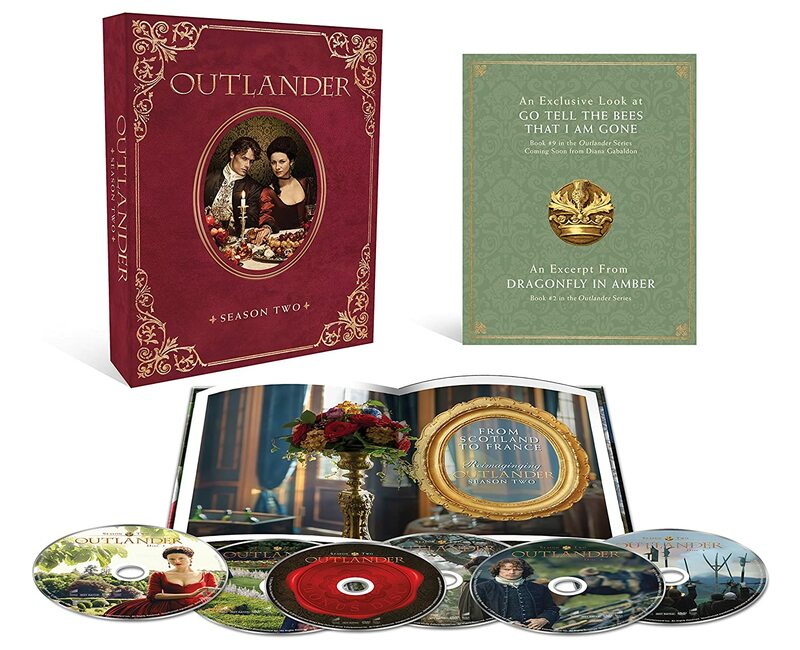 OUTLANDER Season 2 is now available on Blu-ray and DVD! 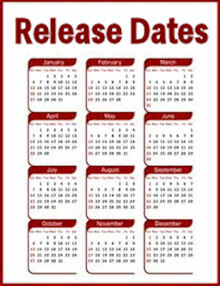 There is also a special Collector's Edition Blu-ray. Look here for a detailed description of what it includes. I can't wait to get my copy! I haven't watched most of the episodes since Season 2 ended in July, and I'm sure I've forgotten many of the details. Also, I'm really looking forward to seeing all the "extras" and deleted scenes.